With wide-open angles, Alegre is a small armchair which stands outs in any room. Nordic-inspired, mark us a style, an era. 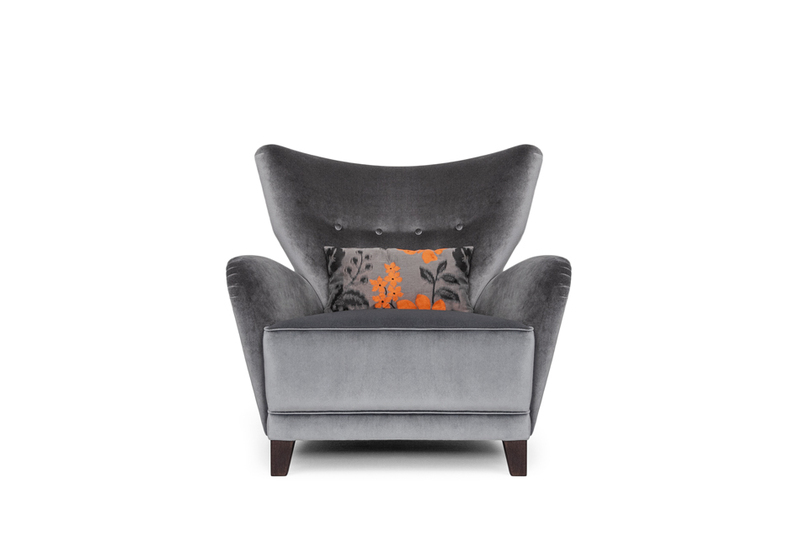 Upholstery of the armchair in the Lotus Velvet nº5667; Feets in stained beechwood and satin varnish. Solid wood frame, fully upholstered. Equipped with elastic straps. Foam in 100% PU with BS standard fire specifications or Fire retardant interlining is available upon request.